Lucky 7 Tattoo and Piercing: Higher Education in the Tattoo Consumer - You Smart Cookies! Higher Education in the Tattoo Consumer - You Smart Cookies! Each and every budding tattoo collector deserves a hardy pat on the back - with a positive and boisterous coach nudging your shoulder, shouting in your ear "WAY TO GO KIDDO! Sadly for newer converts to the wonderful world of tattooing - information has been gathered from television shows (bad and good), friends with tattoos, the online "second hand information highway", etc...Not very effective as a whole. Yet with these challenges in educating themselves - clients are becoming much smarter when making choices for themselves! Consumers of tattooing are coming into their own - making better decisions in who, what, where and why. This slow moving change is arriving. Not a moment too soon either. booked. 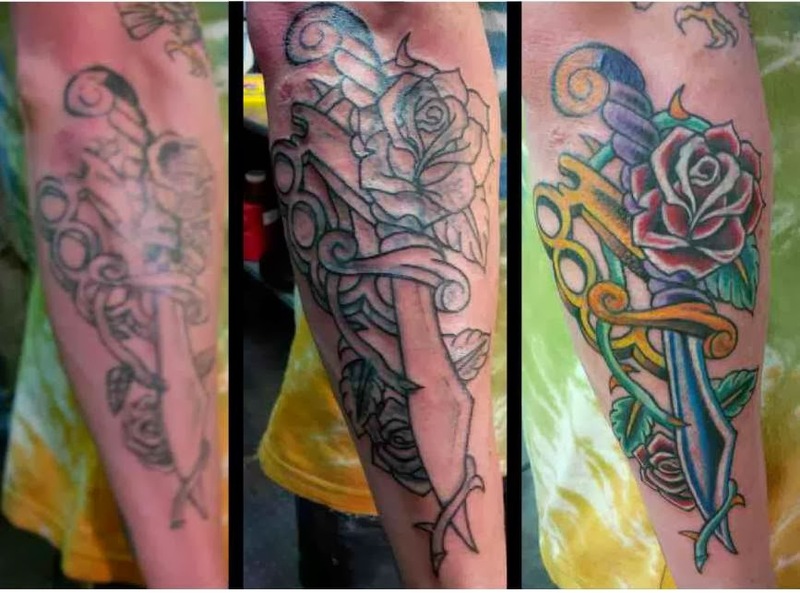 Some would brag about how little they spent - thinking the tattoo itself was great for the simple reason of words being legible or you could figure out it was "Tinkerbell' after staring at the mess of a pattern for 30 seconds. I am here to say the days of uneducated bad decisions are coming to an end! 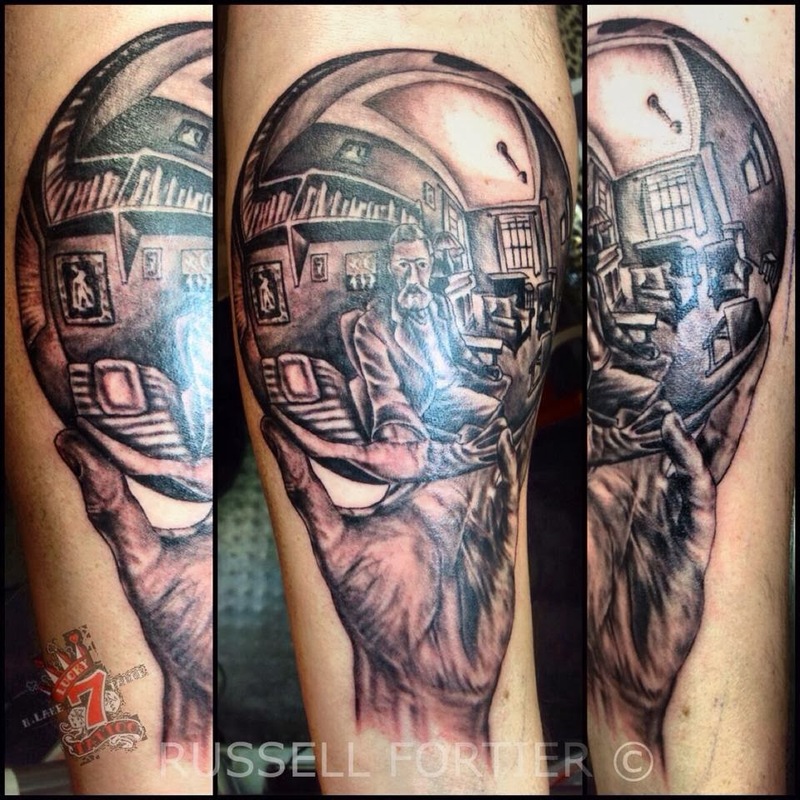 Since the beginning of winter I have had the pleasure of serving many more lovers of tattoos with well informed mental checklist of what they want from their tattoos and their tattoo experiences. Taking their time in researching tattoo artists and shops. Having ideas thought out - yet being open to what will and won't work in crafting a pattern in size style and location. What a great change in a positive direction for the tattooed public! Exciting for all of us who strive to create and execute great tattoos as well. MY compliments to you all! Keep up the self education. Know the entire Lucky 7 staff is here to be of any help we can.